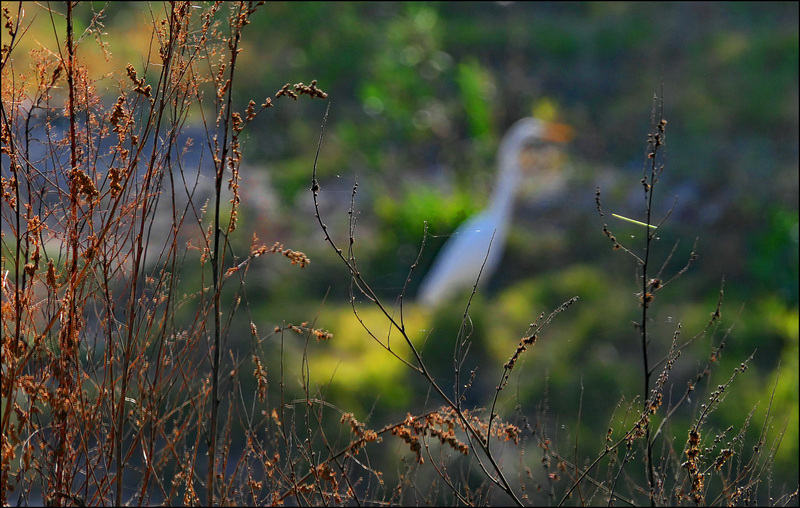 This is an egret in the San Diego Creek, which runs a few hundred yards from my house. I don’t know why it’s called that, since it’s nowhere near San Diego, but perhaps the early Mexican settlers around here were fans of Juan Diego. It’s not as if the folks down south with the famous zoo have a trademark on the name, after all. In any case, it’s not really a creek these days, it’s a storm channel that drains about a hundred square miles around these parts. At least, that’s what it does when we have any rain, which we don’t right now. At the moment, the whole creek bed is sort of marshy, perfect for egrets and ducks and sandpipers.